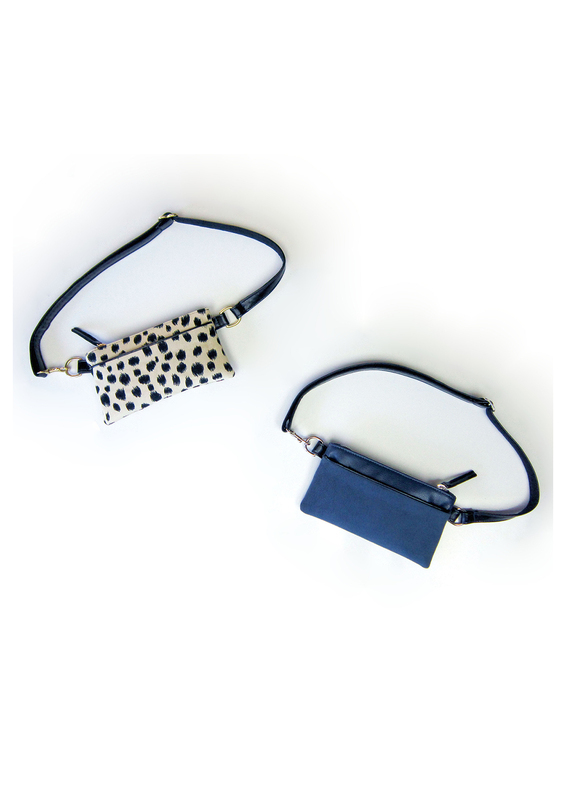 How cute are our new Pocket Bum Bags? Slightly larger than the Wallet, our new pocket bum bags really pack a punch when it comes to functionality. Stash your phone in the large, front exterior pocket for easy access and place smaller items like cards and cash in the interior pocket inside the bag. It's no secret our new design is extra roomy. It not only fits the essentials: cards/cash, phone, keys, but you'll also have room for that extra lip stain, and maybe even a pair of socks for yoga class. But it doesn't stop there! Our bum bags are easier to use than ever: Just zip to close, hook the belt and go!